This recent article from the Journal of Chemical Education is an excellent overview of accidents that have happened involving flammable liquids. The authors report 164 children and educators have been injured over a 20 year period. The article also provides useful insights into why these accidents occur and measures necessary to prevent them. In my opinion, this article is a “must read” for any science teacher considering bringing a sample of a flammable liquid into their classroom. Thanks for sharing this idea Milan ! Wearing safety goggles is a requirement for many science activities, especially those involving chemicals. Providing students with clean, comfortable, well-fitting safety goggles that are appropriate for the activity is essential to maintaining student safety. This post provides an introduction to purchasing and maintaining appropriate safety goggles for your students. Our “Five-Minute Safety Equipment Inspection” can be used to quickly and easily evaluate the readiness of laboratory safety equipment. According to the OSHA Laboratory Standard, safety equipment should be checked on a regular basis. It is a good policy to document all safety inspections. If problems are found, repairs should be made promptly. Click here to go to the source of ‘Five-Minute Inspection’. goals, school policies, and potential dangers. Click here to go to the source of ‘Live Animals in the Classroom’. 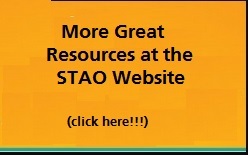 STAO Safety Mindedness Teacher Training Resource -Updated with Closed Captioning!!! 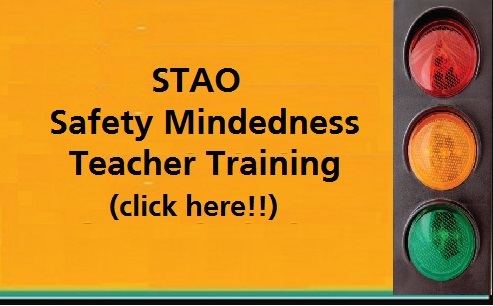 The STAO Safety Mindedness (SSM) program is an interactive online training program to train teachers on common safety-related issues in a typical Science (Grades 9–12) and Science and Technology (Grades K–8) programs. SSM is an easy to use, flexible and cost-effective strategy to meet your school’s safety training needs. The training provided by this program helps promote a culture of safety mindedness in your school. SSM has just been updated to include closed captioning. Both the elementary and secondary versions of SSM are divided into 8 convenient modules. The content of each module is consistent with STAO’s safety reference texts, ‘Safety in Elementary Science and Technology’ and ‘Safe On Science, Second Edition’. SSM is available, free of charge, to all teachers and can be accessed from the STAO website, blog, or via the following links. School boards are encouraged to run SSM off their internal servers at no cost. Contact info@stao.org for details. School Board Customization Services Available. SSM can be customized to include board-specific content, e.g., logos, inserts (customization charges will apply). Contact info@stao.org for details.